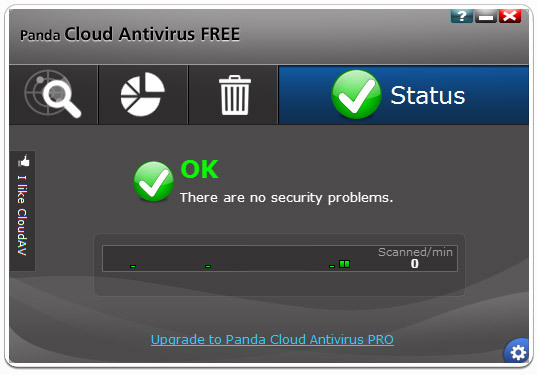 Panda Cloud Antivirus 1.5 is available in two versions. One is free version and the other is a Pro version that offers 24×7 multilingual technical support, behavioral analysis and automatic USB vaccination. The pro version is available for $29.00. If you are an existing user then you will be automatically upgraded to new version and if you are a new user then you can download it from www.cloudantivirus.com . New advanced configuration options for exclusions of files based on file extensions, potentially unwanted programs and more. New activity monitor shows information such as scanned file details and previous viruses detected. Panda Cloud Antivirus is based on Collective Intelligence, a system for detecting and disinfecting viruses and other threats that feeds off the knowledge shared by millions of users. Panda Cloud Antivirus is compatible with Windows Seven, Windows Vista and Windows XP with Service Pack 2 or later. I’ve never tried Panda Antivirus and I don’t think I should as I’m already getting good performance from my Avast! antivirus. But those who don’t have full version of antivirus they can try it. I think by features it looks cool antivirus.